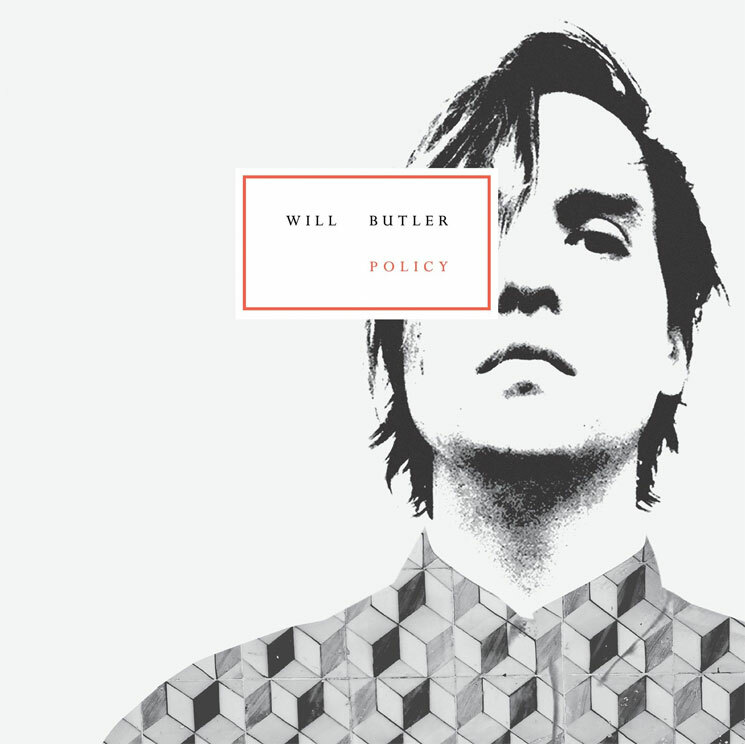 Although Win Butler stands as Canadian indie-rock band Arcade Fire's tenacious leader, fans have had their eyes on brother Will Butler for years now. As the multi-instrumentalist human whirlwind onstage, Will is the one who has truly delivered the frenzied live show fans have buzzed about since their Funeral days. (The first time I saw Arcade Fire, Will tripped mid-show but continued to run around the stage banging on instruments with a limp.) With such a hyperactive personality, it always seemed as though the musician was restlessly awaiting an opportunity to express his musical ideas. He got the chance in 2013, when he and Owen Pallett worked on the Oscar-nominated score for Spike Jonze's Her. Following that, Butler has taken his off time from Arcade Fire's three-year album cycle to release a solo record. That album, Policy, comprises eight tracks that boldly explore a number of sonic avenues from rockabilly and punk to synth-pop and even piano balladry. Admittedly, it's as scattershot as it sounds, but that doesn't mean that Butler doesn't find his footing in a few of these areas. The driving guitars on "What I Want" make it a thrilling number that incorporates head-scratching lyrics about eating "pony macaroni," while the Talking Heads-style synth track "Anna" is a highlight that begs for Butler to hopefully explore an entire album of slick pop melodies in the future.